Payday loans have been criticized as a debt trap for middle and low-income Texans. With new rules from the Consumer Financial Protection Bureau, borrowers may be armed with new protections. Gordon Martinez turned to a storefront payday lender more than 10 years ago and took out a loan of $1,200. The former teacher had just moved to Dallas to start a career in sales and was struggling to make his rent. But with high fees, his debt ballooned to about $3,500 within a matter of months. "I had no opportunity to pay back," Martinez said. "I was set up for failure." New rules passed last week by the Consumer Financial Protection Bureau put stiff restrictions on payday and auto-title loans, like those Martinez used. The rules — which are scheduled to be fully implemented in the summer of 2019 — would prohibit lending without verifying a client's ability to repay the loan. In Texas, a state where payday lending is largely unregulated, advocates for increased oversight view the new rules as a crucial step in protecting vulnerable borrowers. Ann Baddour, director of the Fair Financial Services Project at Texas Appleseed, a nonprofit advocacy and research group that pushed for increased regulation, said the rules ensure payday lenders don't go after borrowers they know cannot pay off their loans. "These rules are transformative because they assert a clear standard that underwriting should be part of any credit," Baddour said. They are "underpinned by basic tenets of fair and responsible lending." But others say the new rules limit underbanked Texans' access to short-term credit. U.S. Rep. Roger Williams, R-Austin, said in a statement the new rules are "punishing vulnerable Americans." Williams, who serves as the vice chairman of the House Committee on Financial Services Subcommittee on Monetary Policy and Trade, said the rules takes away the "right to small-dollar emergency loans." "Washington bureaucrats will never experience the financial instability that many of our hardworking families do. We must correct this system by rolling back the rule-making authority of this agency, whose decisions are guided by 'scholars' rather than industry and subject matter experts," he said. Payday loans, which are already effectively banned in 15 states, involve customers taking small-quantity loans with very high fees. Clients are expected to pay back the fees and principal amount often by their next payday. Prohibitively high fees, however, often cause debts to roll over to the next month, which critics say causes a cycle of debt. The new federal rules cover an expanse of lending practices advocates have called predatory — firms must now verify a client's ability to pay back loans before issuing them and cannot pull money directly from a client's checking account without written notification first. The new rules also limit rollovers for overdue payments. Compared to other states, short-term, high-payment loans like Martinez's have few restrictions in Texas, and many say they are a debt trap for middle and low-income Texans. About 8 percent of Texans have taken out payday loans, compared to the national average of 5.5 percent. More than 40 municipalities in Texas have passed ordinances restricting the expansion of short-term loan agencies. Still, statewide laws regulating payday loan practices have largely failed in the state Legislature. In 2013, a bill that would have curtailed many of the practices critics have called predatory failed as legislators could not agree on regulatory details. Rudy Aguilar, director of consumer protection at the state Office of Consumer Credit Commissioner, which regulates payday lenders, said the office was still looking at the new rules and could not comment. 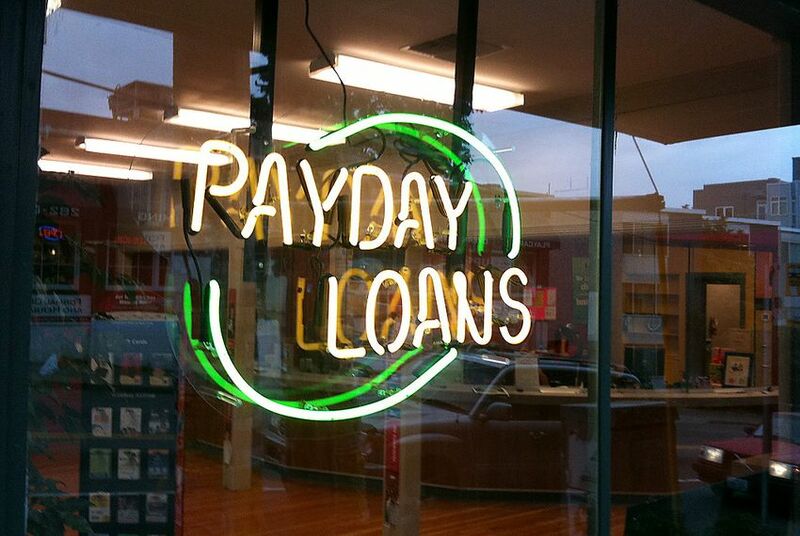 Payday lenders say they offer services to clients denied by major banks. "While the rules announced today by the [Consumer Financial Protection Bureau] potentially impact only a small fraction of our total revenue, these rules are extremely complex for a small dollar loan and, by their own estimation, will significantly impact consumers’ already limited access to credit," Nannette Blaylock, executive administrator for Curo Financial Technologies, which operates payday lenders such as Speedy Cash in Texas, said in a written statement. Martinez, however, said the loans are not designed to help borrowers. As his payments continued to grow, the fees eventually exceeded the bills and rent he initially needed help paying, he said. Martinez said the lender pulled money directly from his checking account, and with ballooning fees, the withdrawals eventually grew greater than his income. In order for Martinez to notify the lender that he would not be able to make the payment, he said he was instructed to call the firm two days before the scheduled withdrawal date. But he said when he would call, no one would answer. Martinez said the financial strain led to him and his wife separating. He was unable to pay rent, he said, and lost his home. Baddour said the payday loan industry is built to profit from keeping clients in debt. "That says something when a lending business complains about a standard that merely requires assessing the borrower’s ability to repay, which should be a basic tenet of reasonable fair lending," she said. "It definitely gives one pause." Martinez called the new rules "a good first step," but said they do not place adequate caps on interest and fees, which Martinez said caused his payments to balloon out of control. Though Texas usury laws protect borrowers from annual interest rates of more than 10 percent, payday loan fees are not capped, said Kathryn Freeman, director of public policy at Christian Life Commission, which advocated for the new rules. Martinez said with "good financial planning" and support from his church, he is in "a better stead now." Still, he continues to help those caught in a debt cycle and advocates for greater regulations, he said. His experience pushed him to work with Faith in Texas, a multi-faith social justice nonprofit, to advocate for caps on interest and fees. "We can’t stop now," Martinez said. "Now there’s something that’s right for all 50 states, but we need to do what’s right for Texans." Disclosure: Texas Appleseed has been a financial supporter of The Texas Tribune. A complete list of Tribune donors and sponsors can be viewed here.